This week’s challenge from Amy at WeTree is to play with Google Maps, a “a helpful tool for determining the locations of addresses in your family history.” My genealogy software uses Google Maps to map all the locations for each individual within the database, so I’ve never gone straight to Google Maps and used it as a genealogy resource. This was a fun exercise to see what the possibilities are. Next, I changed to Satellite view and zoomed in on the Confederate Cemetery. 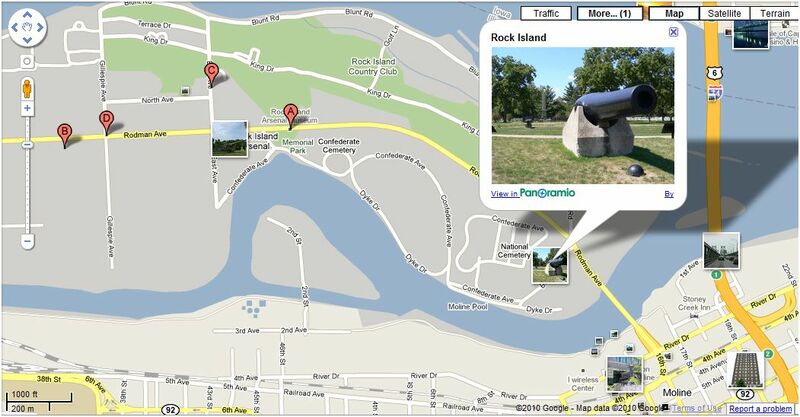 Next I clicked on the “More” Button and chose “Photos.” Several photos appeared on the map, two of which were on Rock Island. 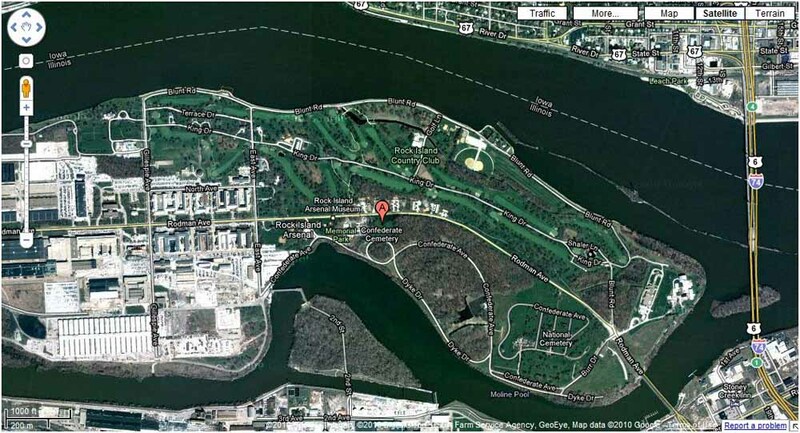 I switched back to “Map” view to make the photos stand out better, then clicked on one near the National Cemetery to make it larger. 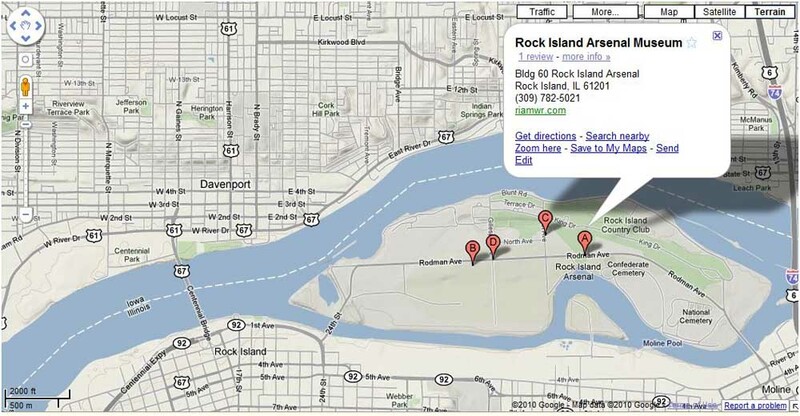 Street view was not available, possibly because the Rock Island Arsenal is the largest government-owned weapons manufacturing arsenal in the United States. Now I want to visit Rock Island in person and tour the museum. Sounds like a road trip in the making! This post was written as part of an occasional series called “52 Weeks to Better Genealogy.” To see all posts in the series, click here. It is also a qualifying post in the 2010 Geneablogger Winter Games. Click here to see all posts related to the Games.